I like reading new and unknown authors. If I like a book I'll review it. 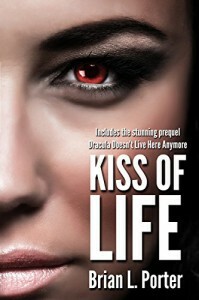 Cold & clever: Kiss Of Life is an eerie, fast-paced thriller that pulls you in quickly and doesn’t really offer a chance to put the book down. The lead characters are cleverly cliché. The setting, like the portent of the tale, is cold. You feel that – all the way through, you feel cold. Intrigue builds and builds. You know the good guy is headed for trouble. Blindly, he is drawn as the story twists deeper with convenient lies, lustful passion and mind-control. You get all along where things are headed but the final reveal is more than you expect, as centuries of legend and myth come to life in an ending that is almost happy.